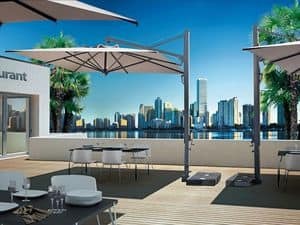 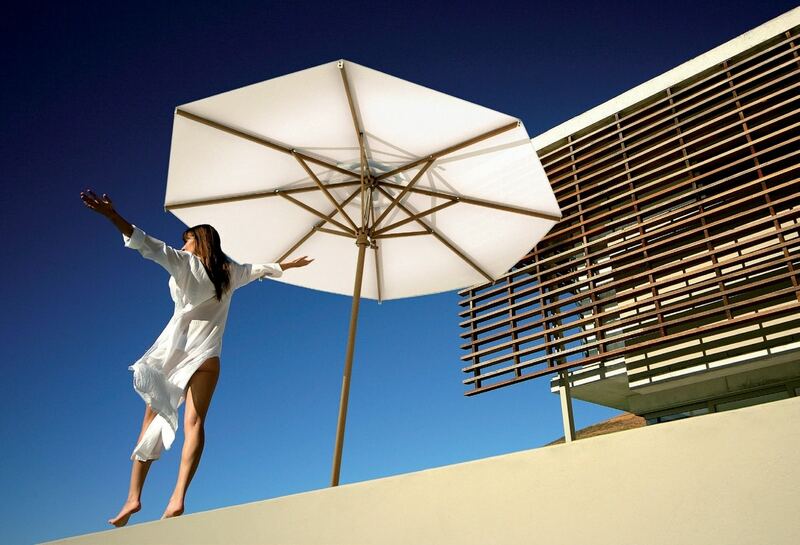 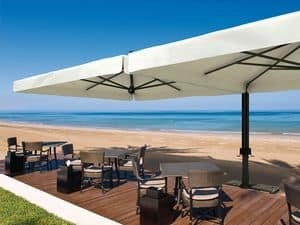 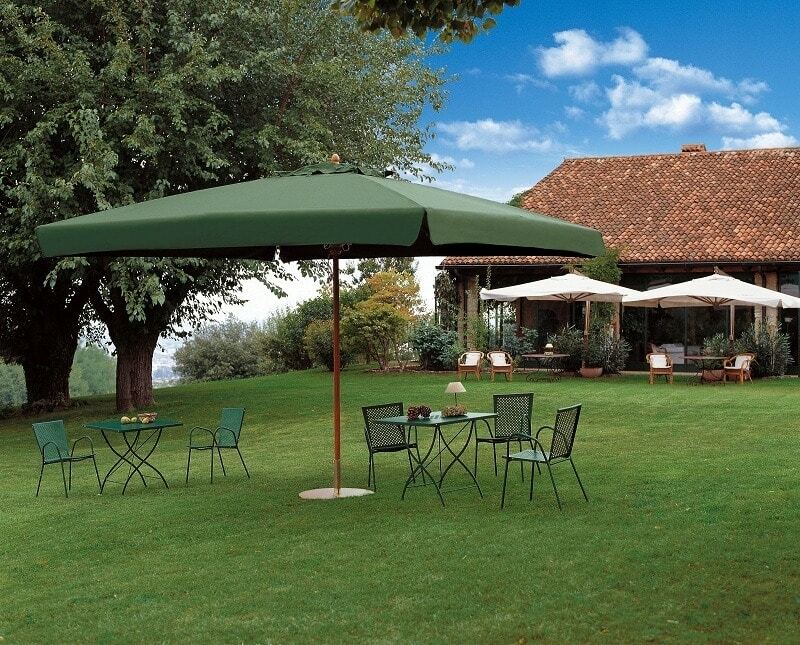 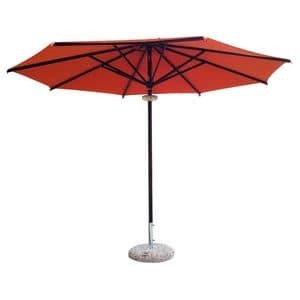 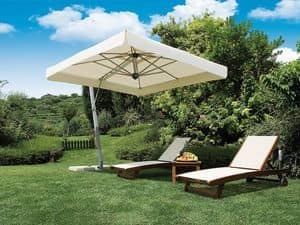 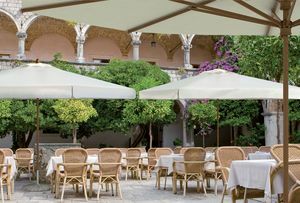 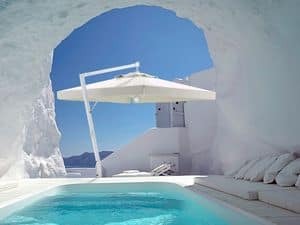 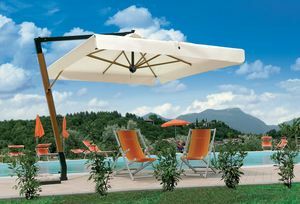 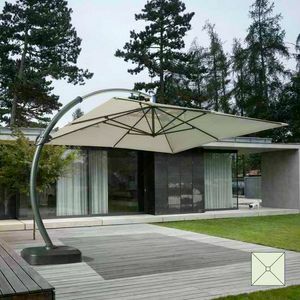 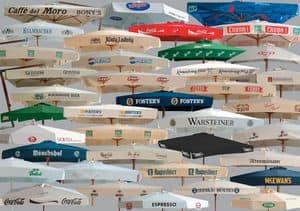 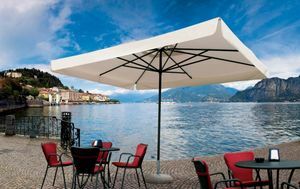 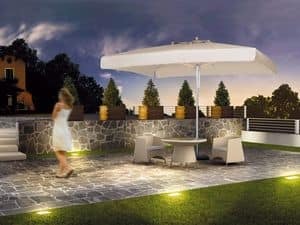 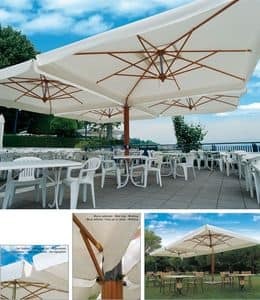 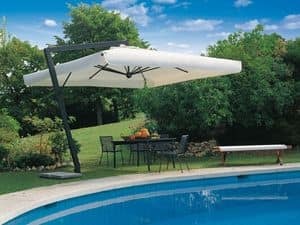 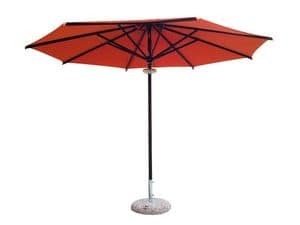 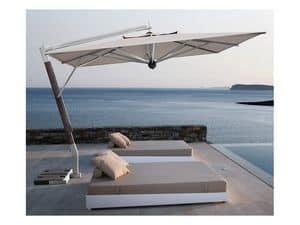 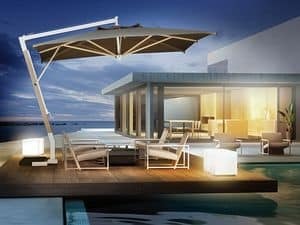 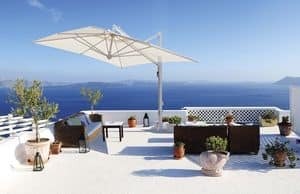 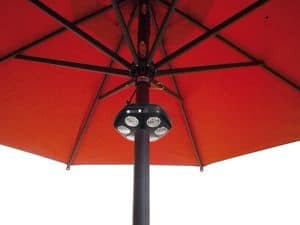 Parasol for garden and contract use. 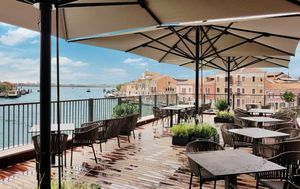 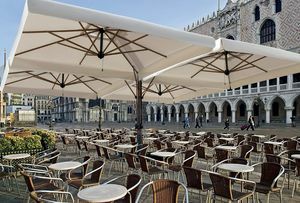 The version Palladio is the widest and most ideal range for all uses and places. 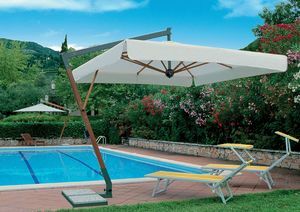 The advantageous relation between price and quality makes of it the most sold and diffused item. 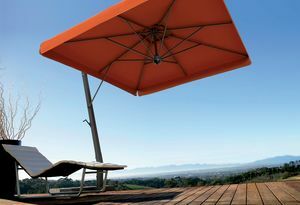 frame in Iroko wood.